The Studio took the photoshop mockup provided by the client, My Mobile Body Shop, and recreated it down to the smallest detail into a mobile responsive website. 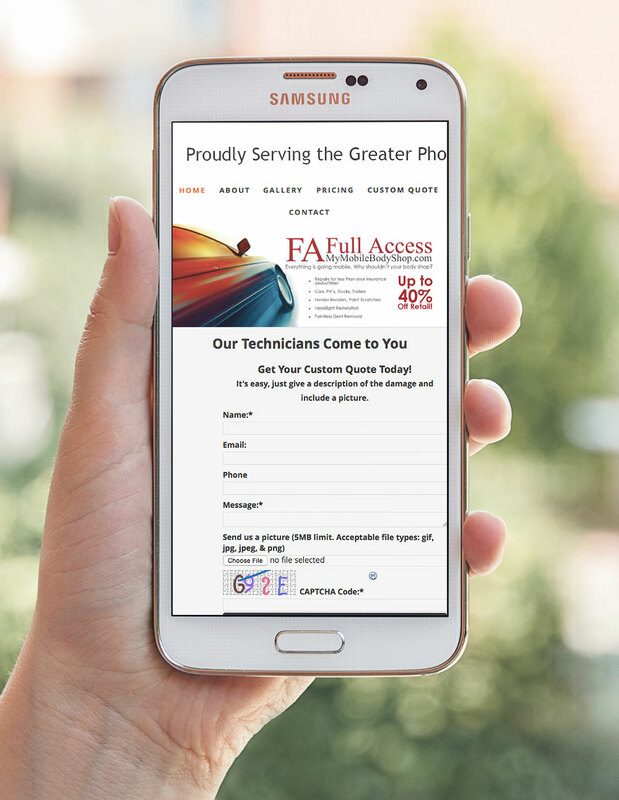 The site needed to feature a contact form that users could send images of their needed auto body repair to receive a quick quote. 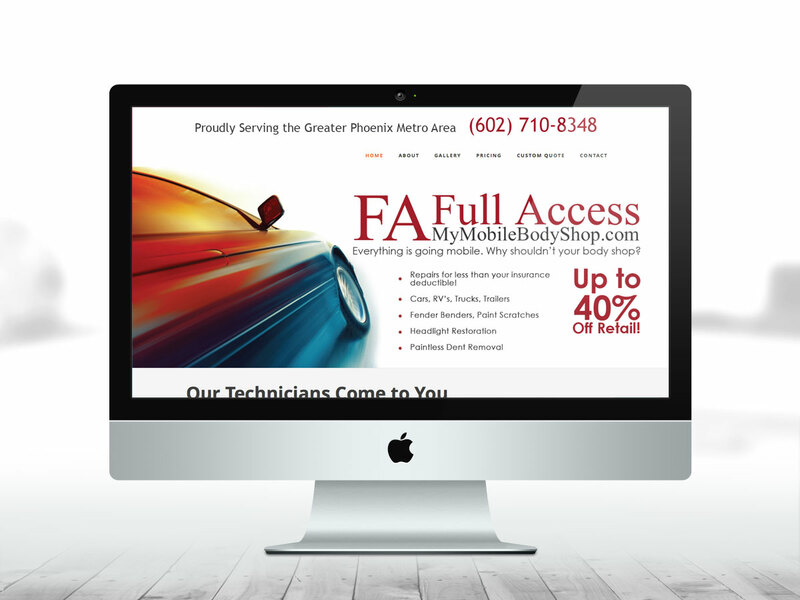 Click here to visit My Mobile Body Shop.